Имате въпрос към Lanta DD House? Разположен на централно място в Клонг Дао Бийч, Lanta DD House е идеално начало за Вашaта екскурзия из Ко Ланта. Оттук гостите имат лесен достъп до всичко, което този оживен град може да предложи. С удобното си местоположение хотелът предлага лесен достъп до всички градски забележителности, които задължително трябва да се видят. Lanta DD House прави всичко възможно гостите да се почувстват удобно. Затова хотелът предоставя най-добрите услуги и удобства. За удобството и комфорта на гостите хотелът осигурява безплатен WiFi достъп във всички стаи, Wi-Fi връзка в общите части, паркинг, коли под наем, перални услуги. Lanta DD House разполага с 4 стаи, които са обзаведени с вкус. Много от тях предлагат удобства като хавлии, телевизор с плосък екран, климатик, отопление, бюро. Хотелът предоставя най-добрите съоръжения включващи солариум, градина, които ще Ви помогнат да отпочинете след активен ден прекаран в града. С превъзходните си удобства и отличното си местоположение Lanta DD House е идеално място, в което можете да се насладите на престоя си в Ко Ланта. Nice bungalows, you get a lot for what you pay (at least at my price). Room/bungslow/bathroom was spacious and clean at check in but there was no cleaning service, just 2 bottles of water each day and towels. Bring your own soap and shampoo. Wifi was always good, stable and fast. There is a safety box on the bungalow too. The location is very convenient direct behind a 7/11 and in front you have travel and massage services and a lot of eateries. You find even a motorbike rental on the way to the beach with the best prices I have seen around. To the beach its a 5 min walk (300 meter) I will come back. We stayed 5 nights. Walked in to Saladeng a few nights, not to far. Good location for good price. We paid 700 thb per night. Good price for the location. It’s a 7-eleven, shops and restaurants just around the corner. The beach is about 5 mins walk. The staff was very sweet and helpful. Recommend this place. Every think was good 👍 We will bock it again. Very friendly staff, clean room, good location. Simple but nice, value for money. We stayed here for one night. It is in a perfect location not far from the pier. A walking distance from the beach which is lovely. Shops and restaurants are near by. We hired a moped to explore the beautiful island. The room was clean and had wash facilities (shower gel/soap) the shower was powerful and Wi-Fi was good. Bed was comfortable and mosquito screan on the door. Staff were friendly not great English but we did our booking online so just needed to keys. Perfect for what we wanted good value for money. Everything was perfect from the beginning to the end. Awesome location, nice room, clean.... Highly recommended! 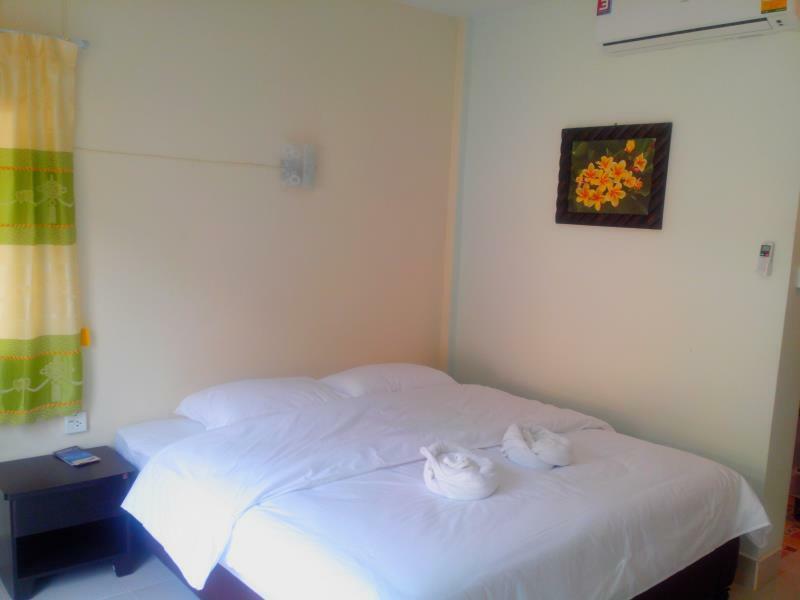 A good and relaxed little place in a convenient location with clean rooms and friendly staff. It is not far from the main road and there was also a little bit of construction work going on on the vicinity, but not enough to worry about. It is only a short walk to a good but not outstanding beach and the rooms were tidy and cleaned daily. I really enjoyed having a good kettle. Good location. Just 1.8km from Saladan pier. 7-11 is 20m away, Klong Dao beach is a straight walk 400m away. Comfortable bed, Aircon, hot shower no issues. Bike rental is available too. Unfortunately construction for new hotel just started beside but its not so much of an inconvenience because work is done only in the day and our days were mostly spent elsewhere on the island. Overall satisfied. Clean, near beach, easy transfer to rest of island. Would recommend. Nice amenities like kettle and fridge, location, friendly lady with excellent English. Everything was great, from the initial greeting to asking where to buy fruit and exchange money, to the help in getting our ride to Phuket. The room was excellent. I liked the kettle and fridge, and the chairs outside to hang your laundry. The cleaning of our room was excellent. The beach is a short walk and there are many restaurants and a bank close by. The beach is lovely. You will have a wonderful stay here! 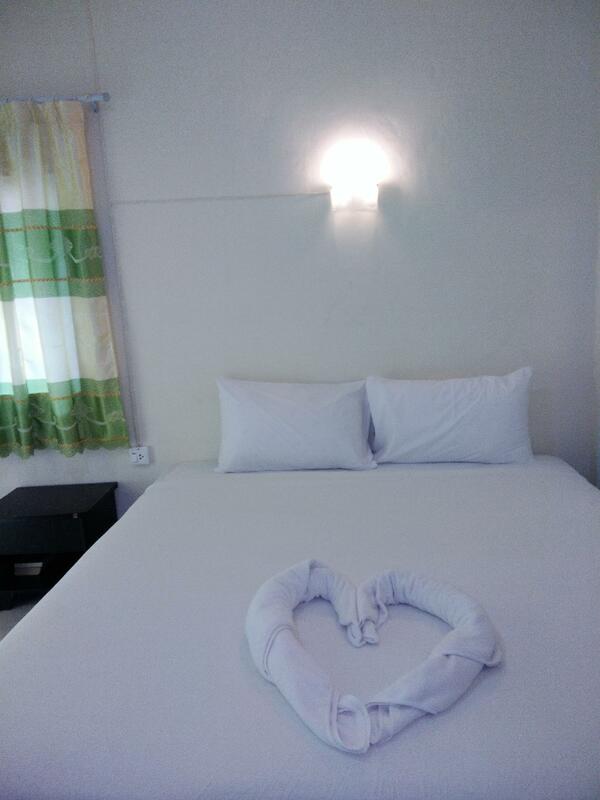 Really nice, clean and comfy small hotel from a walking distance of the beach. Friendly staff. Room was quiet, clean, nice. Would stay there again. 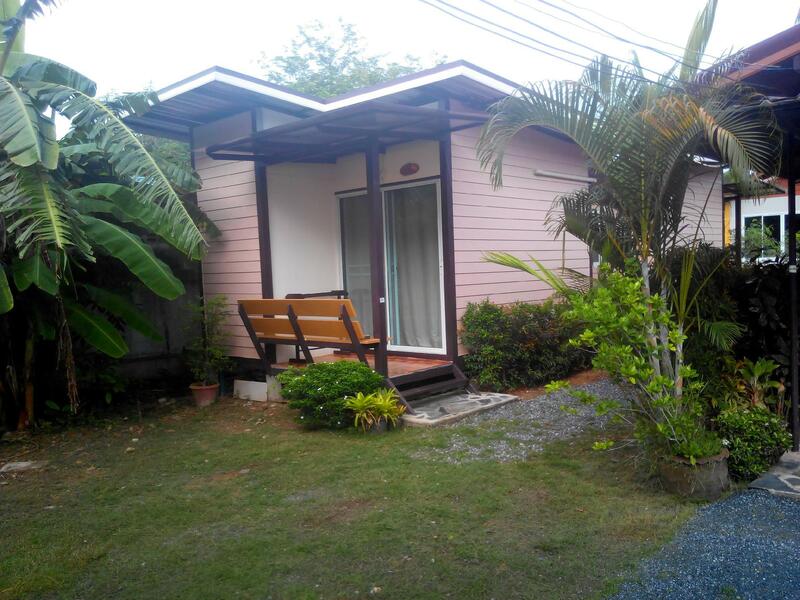 Excellent little guest house; comfortable, professional, and affordable. Close to northern pier and restaurants. We stayed in hotels & guest houses in Bangkok, PP, and Phuket, but none as nice - This was a breath of fresh air compared to most. Would definitely stay here again.